I've been doodling a few new charts, some quite complex to pull together and that I'm still working on, some a bit simpler. 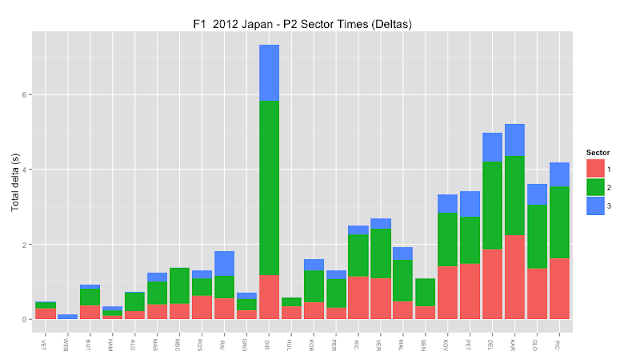 This chart shows the the cumulative delats over sectors in P2 - BUT messed up I think? 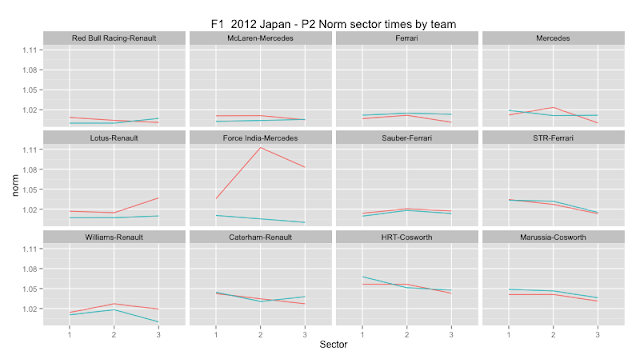 A new chart I'm working on that gets messed up by Friday drivers, but I may have a fix. This chart is read right to left - the most recent session is leftmost, and the y-axis labelled according to the classifications in the most recent session. 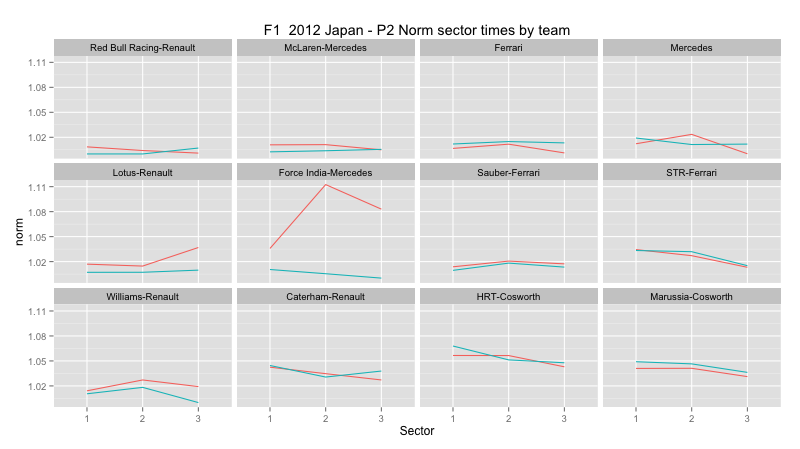 We see for example that VET improved over P1 to P2, whereas BUT lost out compared to P1. 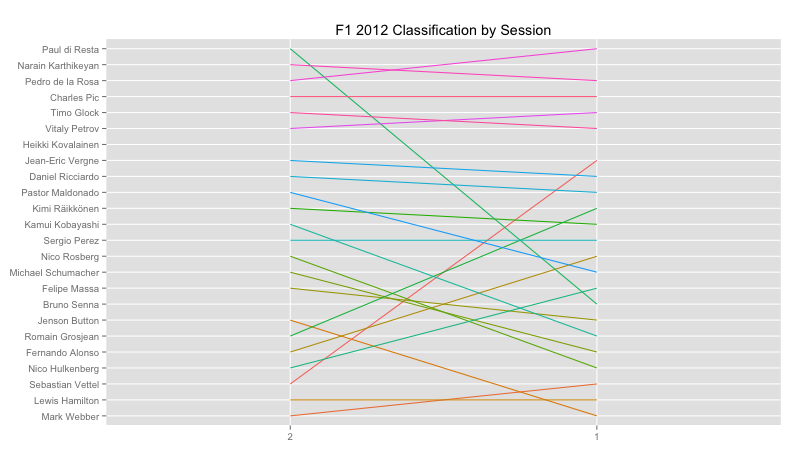 I'm starting to think the y-axis should be flipped, so the first placed driver in the most recent session is at the top? Then as we read right to left, if a line goes up the position has improved?